The MyQ Garage was designed to work with the following brand of garage door openers, all of the following garage door openers use Saftey Reversing Sensors and a either a Program or Learn button. 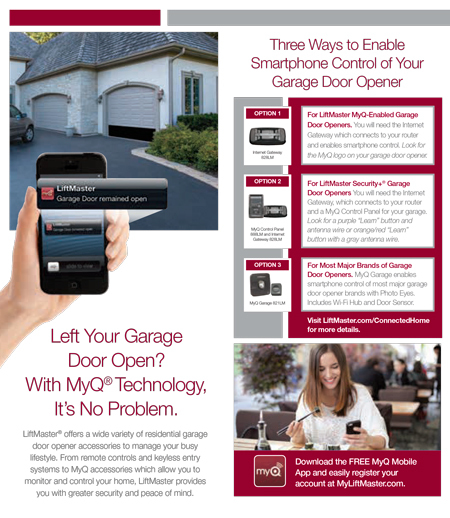 The MyQ Garage will NOT operate a garage door opener with DIP-Switches however, the MyQ Garage can be configured to monitor your garage door opener. For more details, consult the following web link or contact us. Bring with you your remote control in visiting him and he will find it.